Do you currently use Dashboard software? Dashboard software is any computerized tool designed to simplify complex data sets, reveal patterns, and provide users with a way to monitor business performance at a glance. Modern dashboards use data visualization to improve the user experience of traditional business intelligence. Experts widely agree that business intelligence (BI) and analytics software hit the mainstream as of 2017, when Gartner forecasted that the global BI revenue would exceed $18 billion. Because adoption has risen so sharply in the past few years, it’s expected that the market will slow down as industries and businesses get over the initial rush towards adoption. Business intelligence software transforms raw data into valuable information that can be used at all levels of an organization. User adoption is highly impacted by end user tools such as reports, dashboards, and data visualization capabilities. Just like the dashboard on your car monitors the performance of your vehicle, a BI dashboard summarizes important key performance indicators (KPIs), metrics, and other data points relevant to the performance of your business or a specific department. Data visualization is one of the most popular business intelligence tools, since it allows people to effectively see and understand data, and then use it to solve business problems. Dashboards allow you to merge data from disparate sources into a single database, build visual reports and dashboards for analysis, and empower everyone with actionable information. As the industry continues to grow, so does the push for design-focused, thoughtful, user-friendly dashboards that communicate the most important information and metrics with clarity, simplicity, and most of all, accuracy. Overview: Tableau is a leading dashboard, data visualization, and data analysis software for businesses of all sizes. Connect your data sources or import from a .CSV or Excel file, and choose what data points go on which axis. Use drop-down menus to manipulate visualizations. Recommended for: Experienced data analysts, enterprise and mature corporations who need scalable visualizations. Overview: Zoho Reports, part of the larger Zoho business software universe, is a dashboard tool build for business needs. Connect to other Zoho business products, third party applications, databases, and external files. Zoho Reports also lets you blend data from multiple sources to get a true picture of business gains. Overview: Birst is a custom business intelligence and dashboard solution for companies looking to combine data from across lots of different data sources. 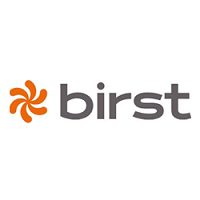 Birst uses “visual discovery” tools to help non-IT teams dig into their data with drag and drop, search autocomplete, and visual filtering. Recommended for: Enterprise and advanced SMBs with lots of data sources and varied data visualization needs. Overview: Sisense offers dashboards for many different industries and business needs. These dashboards bring together data from multiple sources and can be deployed to a customer-facing website or embedded in apps. Hook up the Sisense augmented intelligence bot to message services like Slack to ask direct questions of the data. Recommended for: Enterprise and mature SMB with customer-facing dashboard and data visualization needs. Overview: Dundas provides business intelligence dashboards that integrate data on-premise or in the cloud. They boast a low per-user cost that scales easily and granular control over the built-in visualizations. Much of the tool is self-serve from prebuilt templates, drag and drop tools, and standardized themes. Overview: Domo connects data across a business and provides a central location for teams to gather to view visualization, chat about next steps, and build apps that use your data. Predictive alerts let you know when business starts to go off course so teams can react quickly. To learn more about implementing a dashboard software solution in your business as well as case studies and more, download the Dashboard Software Buyer’s Guide. Which Dashboard software is right for your business? To extract value from your data. Simply amassing data is not helpful. You must find the story it tells in order to inform users across the organization and provide on-demand access to core business metrics. To gain departmental transparency. For teams, dashboards provide a clear view of current performance. Each person can see metrics relevant to departmental activities and better align their priorities. To predict customer behavior. Data analytics is unique because it doesn’t just provide reports, it includes complex capabilities such as predictive and prescriptive modeling. These tools can be used to forecast future customer behavior and inform marketing and sales strategies. To scale business intelligence efforts. Businesses are shifting from reporting-centric to analysis-centric models. Historically, BI platforms have been heavily governed by IT, requiring them to push reports to executives, managers, and knowledge workers. Now, self-service analysis solutions are becoming more popular, bringing data discovery and analytics to the entire company. Visualization tools can remove the answer and query burden from IT departments, which means IT can focus their efforts on strategic initiatives such as data modeling and governance. Pie charts: Used to show the relationship of fractions or percentages. These charts clearly show how much each element contributes to the whole. Bar graphs: Used to show comparisons, typically when you want to present distributions of data over time. Bar charts plot values to show disparities or similarities by the relative heights of the bars. Line charts: Used to visualize trends over time, these can be a series that allow for comparisons or scatter plots to show correlations. Geographical maps and heatmaps: Used to show how location impacts business performance. This can be the location of assets (people, customers, products, vehicles, etc) or problems and opportunities. Tables: Used to organize data into columns and rows. They provide a familiar way to convey information that might otherwise not be obvious or readily understood. Tables can be used to cross-reference information or to present alternate representations of the same information side by side. Gauges: Used to measure KPIs and show progress towards an objective. Gauge colour is often used as a simple way to indicate whether or not a target is achieved. Enterprise companies will need to create an an interdepartmental way to measure performance on an company-wide basis. This is a large-scale project that requires a BI vendor with a track record of success in your specific industry. Implementation costs, maintenance and enhancements, as well as multi-channel customer service, are all important when vetting providers. Integration with existing systems is vital, so large companies should consider their current technology vendors, as well providers that offer end-to-end suites, to ensure compatibility. Stand-alone dashboard visualization platforms should have the ability to integrate with current enterprise protocols and governance to ensure security. SMBs will find many mega-vendor business intelligence solutions on the market may be overkill. Small and mid-sized businesses should first identify their current data sources, then select a vendor that helps consolidate that small data to leverage existing systems. A vendor that specializes in the SMB niche should be considered. The chief financial officer is the perfect candidate for a business intelligence discussion. As the leader that monitors the big picture of the company, it’s likely they’re already accessing and using company data. They know it’s difficult to collect information from multiple sources: supply chains, production processes, or customer interactions. The CFO may already be using built-in analytics from several disparate platforms to determine where the business needs improvement or how to allocate resources more efficiently. For them, end-to-end business intelligence is critical. They already have the wisdom to discern patterns and forecast the implications, so a visualization tool that save times and simplifies processes is important. Find out what their process looks like, and highlight how a modern dashboard can bolster and improve it. Present case studies and ROI reports that are relevant to your company and industry to get the CFO on board. The CFO is highly invested in company financials and success. The right business intelligence tools can help make data one of the company’s most valuable assets. Modern self-service BI dashboards mean IT leaders won’t have to manipulate data and pull reports for everyone. Business intelligence and analytics are a high priority for CIOs, who understand that corporate data can be used to provide insight, analysis, and competitive advantage. The CIO is in charge of aligning technology with company goals and strategy. It’s important to involve them in a conversation about new systems early in the research process. Discuss how cloud business intelligence and analytics solutions offer CIOs with tight budgets and over-burdened IT infrastructure access to affordable and flexible computing resources. New systems also allow the IT department to reallocate their time spent on reports to more pressing needs. Of course, this new technology requires pulling data from existing applications, so it’s important to discuss system requirements. The CIO can help you pinpoint company needs and create a short list of viable vendors. Businesses have access to more data than ever before. The trick is to ensure this data is actually helping CEOs make more informed decisions. Leaders often have trouble handling vast amounts of company information. Oftentimes, important decisions are delayed as a result of having too much information. Effective dashboards can help CEOs find clarity. They cut through noise to provide clear picture of the business. You must help the leader of your company see how they can actually capitalize on their data. To do this, focus on the tangible benefits of a system. Enlist the CFO and CIO to help you make the business case for how dashboard software can make an impact on the business and help everyone be successful at their jobs. You’ll have a much stronger argument if your pitch is backed by other leaders. If you have trouble selling the technology to stakeholders, focus on a getting small proof of concept. Choose an issue that keeps executives up at night, and then pinpoint how BI and dashboards can be used to gain insight on these challenges to gain a competitive edge. With the help of an executive, run a low-cost beta project in one department to demonstrate the value of dashboards to other decision-makers. Keep the scope small, and focus on metrics and surveys to communicate the results of the pilot. This will help build buy-in and generate support for a company-wide dashboard software deployment. We’ve listed some of the top dashboard solutions on the market that can be customized to meet the needs of any-sized business. You may need a different dashboard vendor that offers industry-specific reports or additional services. To find the best dashboard software for your business, conduct a comprehensive dashboard comparison by using our Product Selection Tool. At TechnologyAdvice, we connect businesses with the technology that best meets their needs. We provide product information, side-by-side comparisons, reviews, and research articles on hundreds of leading IT solutions, to take the headache out of the buying process for you. To learn more about any of the products or features listed in this guide, call one of our in-house specialists, or use the Product Selection Tool on our website to get a free personalized recommendation.